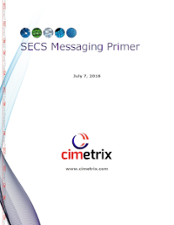 The SECS/GEM (also known as SECS-GEM, or simply GEM) standard defines messages, state machines, and scenarios to enable factory software to control and monitor manufacturing equipment. The Interface A Standards are a collection of SEMI® standards for the semiconductor industry to improve and facilitate communication between IC Maker's data gathering software applications and the factory Equipment. Find out more about the SEMI PV2 standard using the Guide for PV Equipment Communication Interfaces (PVECI). This paper serves as an introduction implementing both the GEM and the PV2 (PVECI) SEMI standards. The SECS GEM standard defines messages, state machines, and scenarios to enable factory software to control and monitor manufacturing equipment.